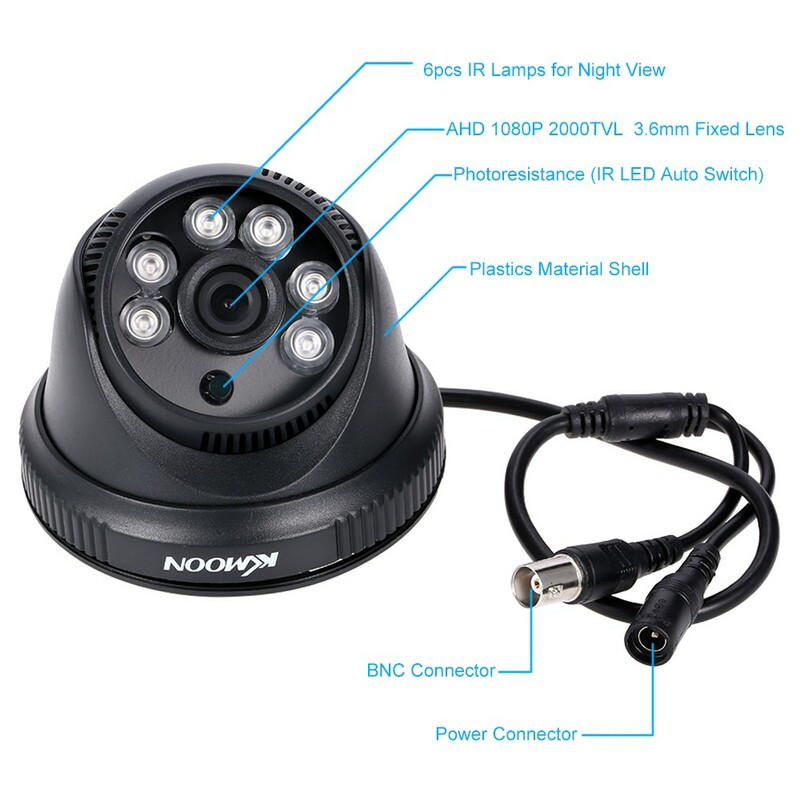 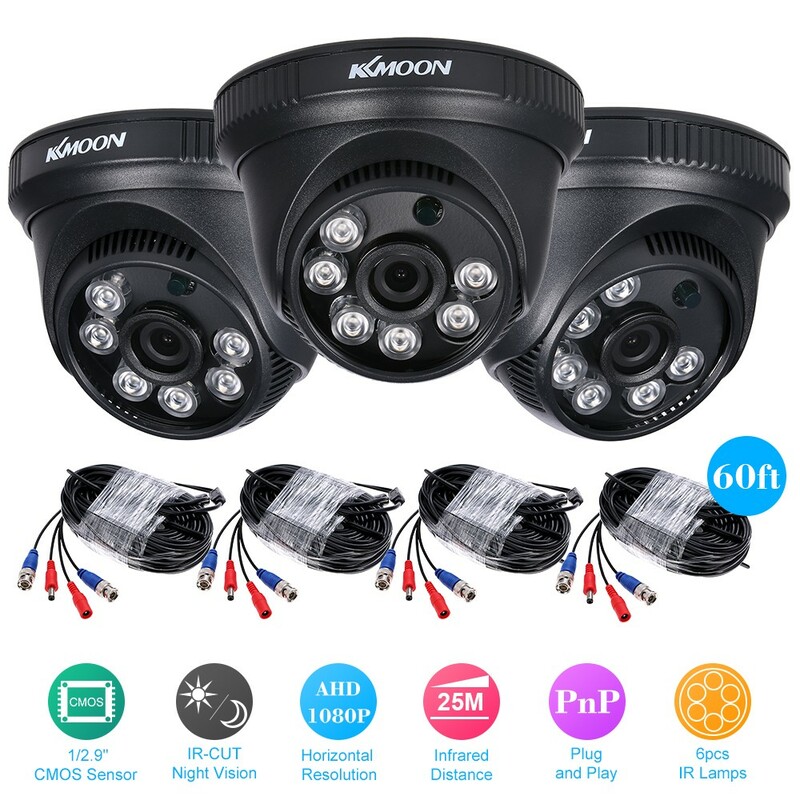 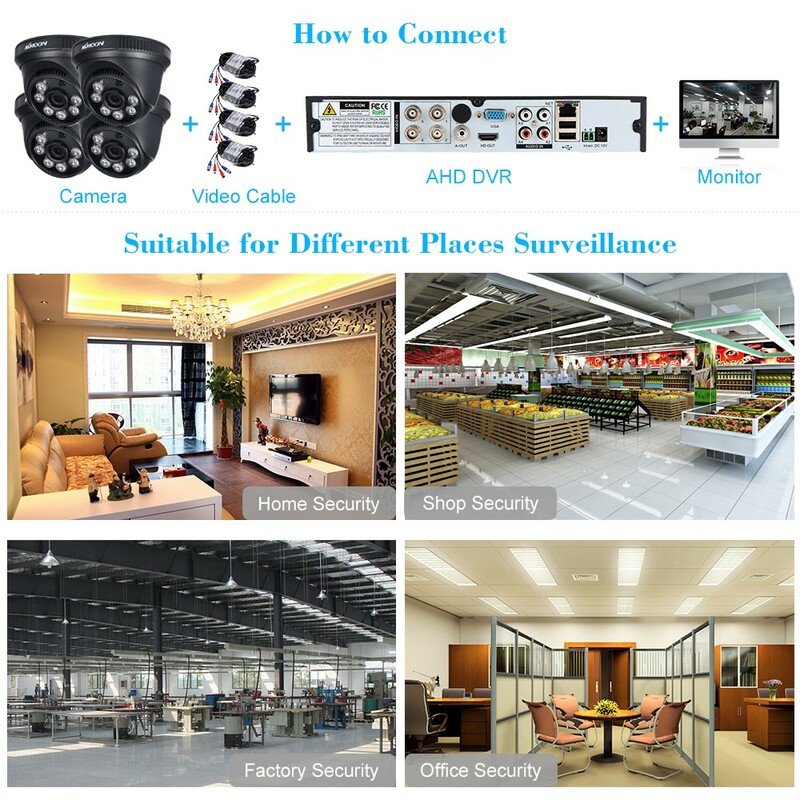 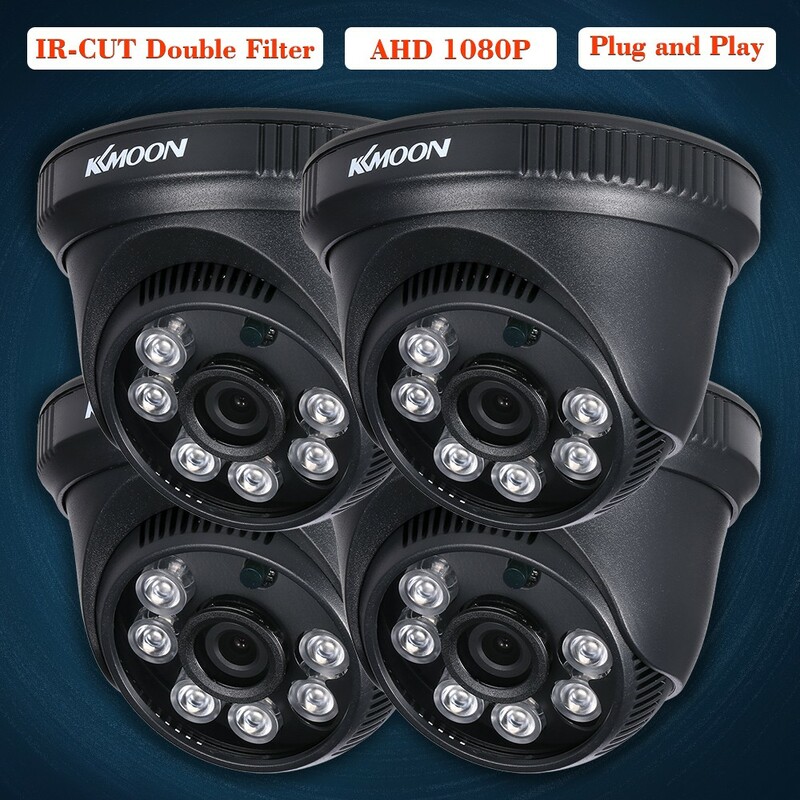 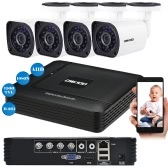 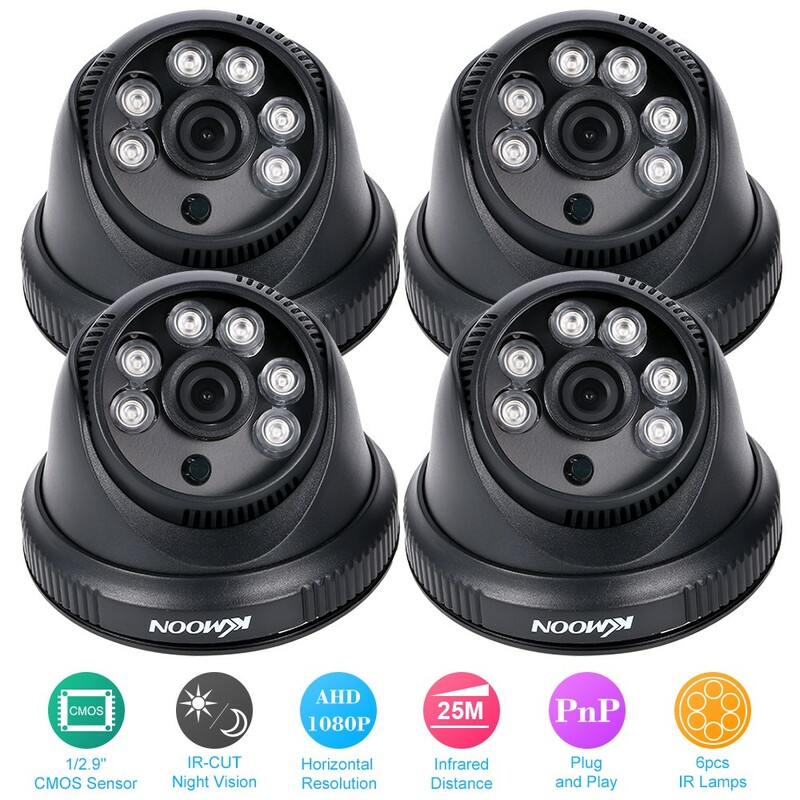 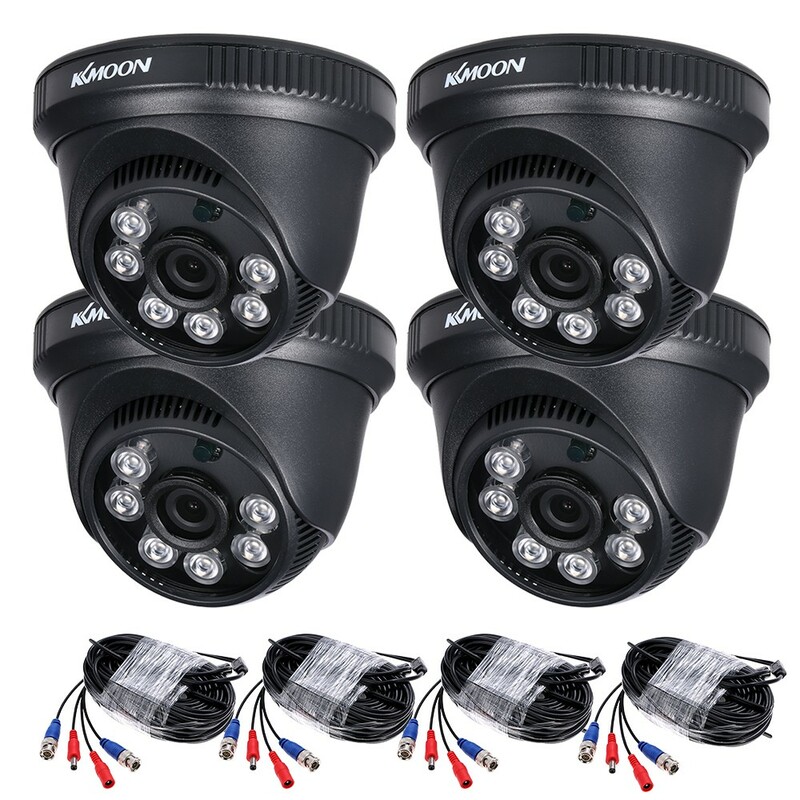 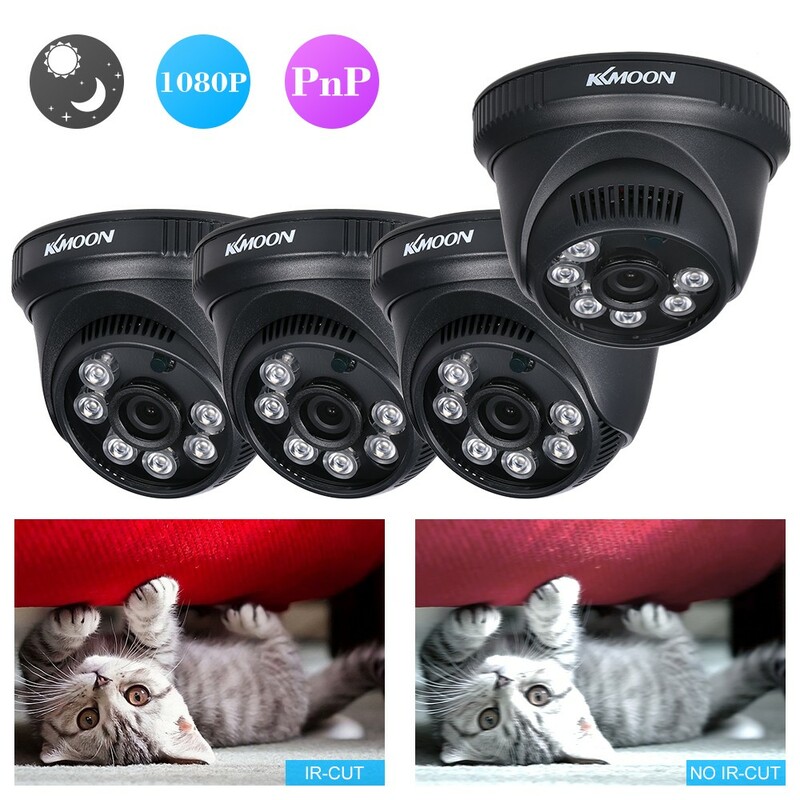 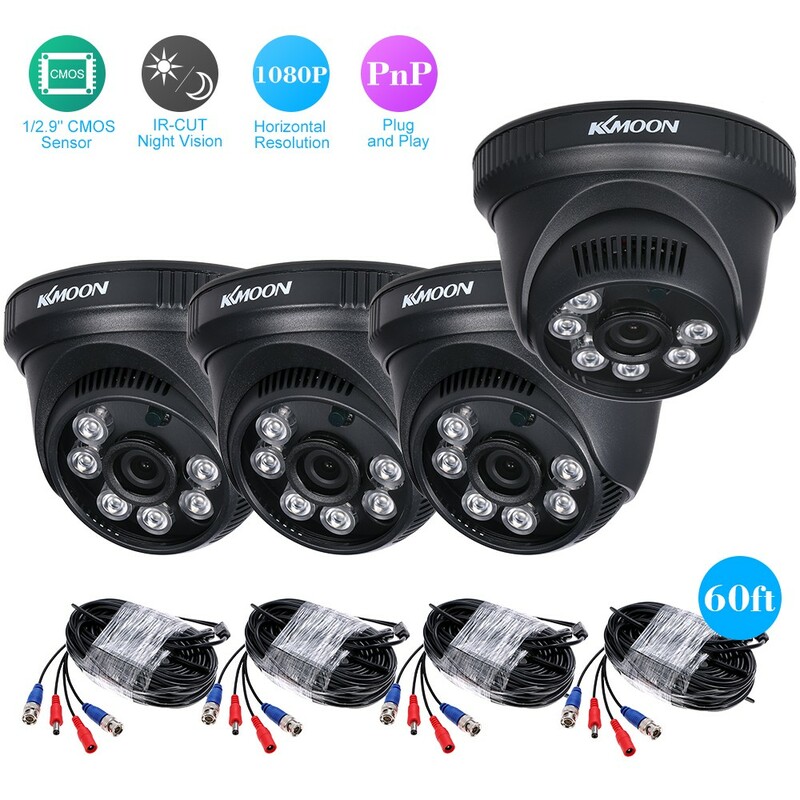 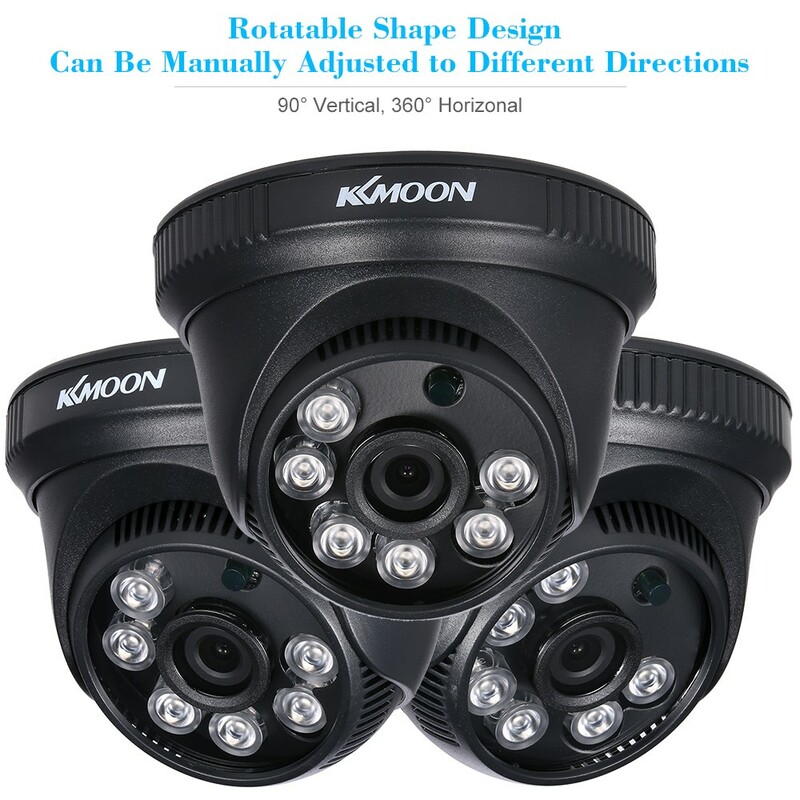 This CCTV kit is equipped with 4pcs AHD 1080P CCTV cameras and 4pcs 60ft video cable, with functions of night vision, plug and play use,etc.It is widely used in shop,home,office and so on. 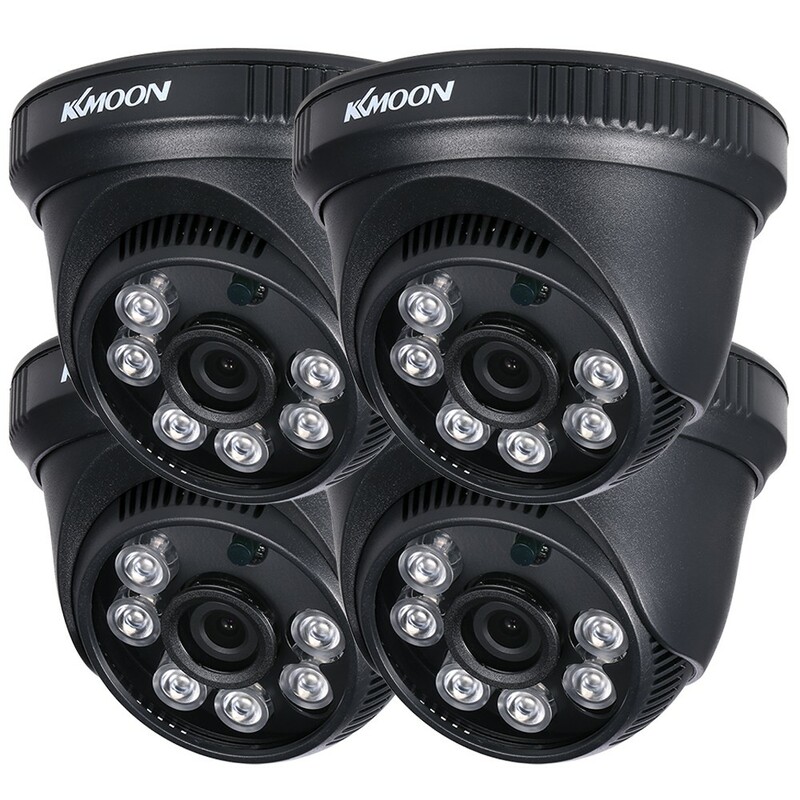 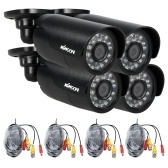 *Consist of 4pcs 1080P CCTV camera + 4*60ft cable. 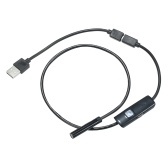 *Megapixels CMOS sensor, HD 1080P pictures display. 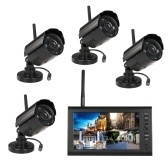 *6pcs array infrared lamps for good day and night vision. 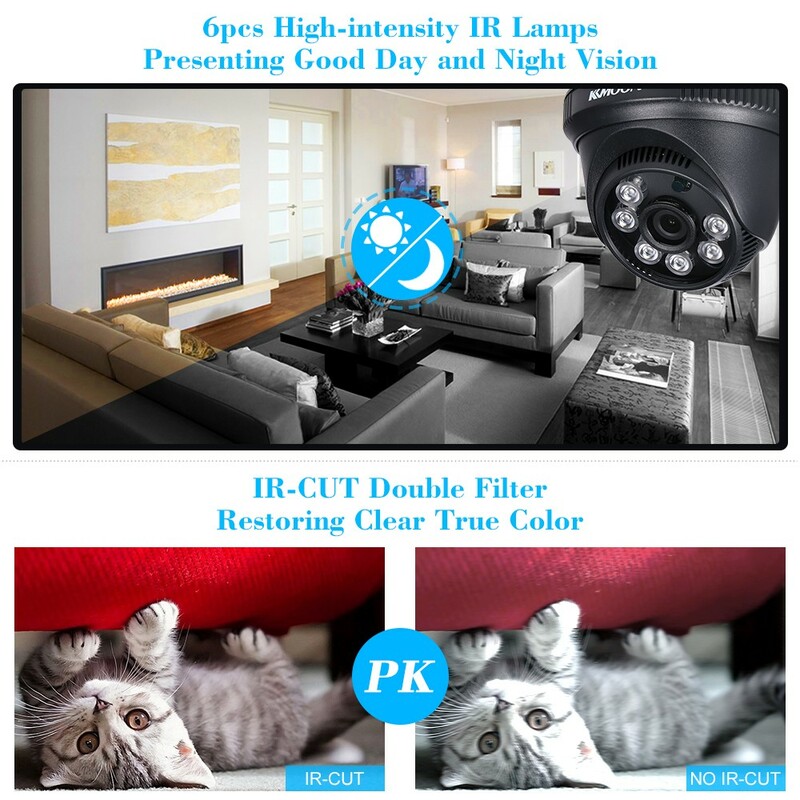 *Built-in light sensor for IR LEDs auto switch. 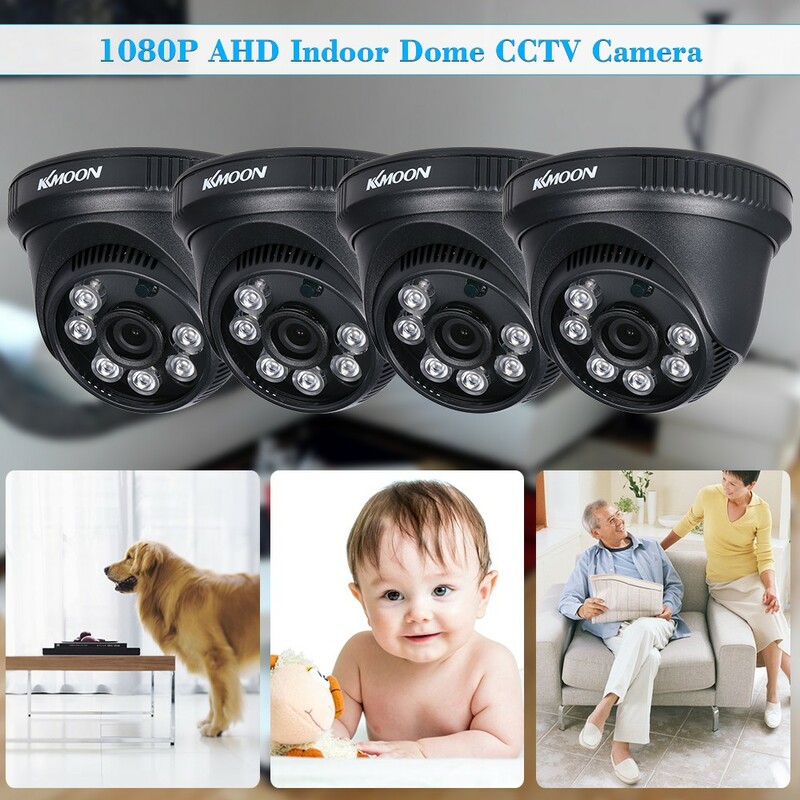 *Made of good plastic material, durable and stable performance.